As a physical therapist, I saw a lot of runners in my clinic with running-related pain. The most common injuries that I see are IT band pain, knee pain, and foot/ankle problems. Inevitably during the conversation with these patients we get to the topic of working out. “So what do you do for exercise,” I ask. “Well I run,” is most-often the answer. People often don’t realize this one key concept – you need to be strong in order to run! 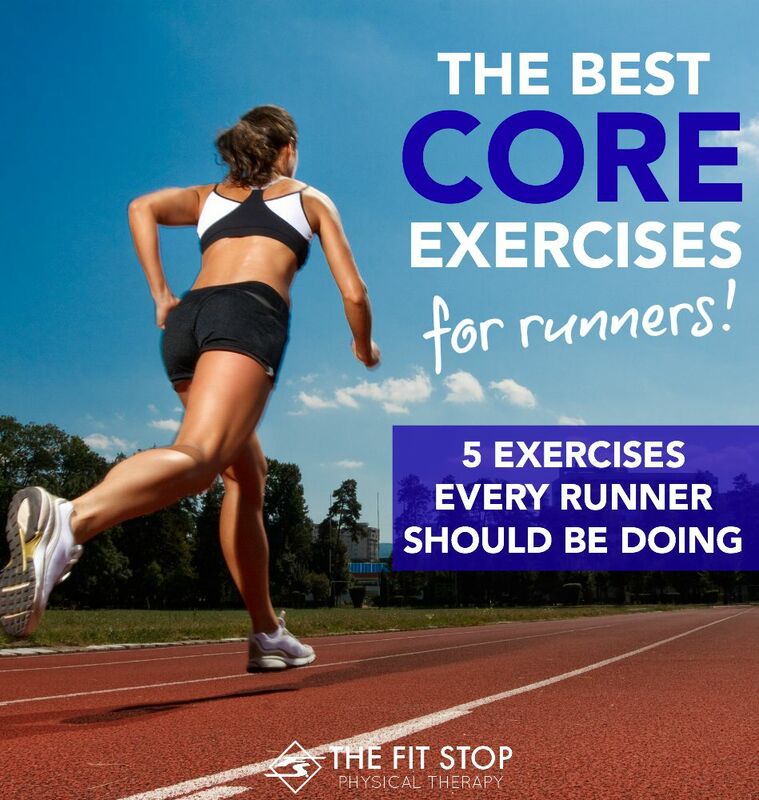 Your legs and core have to be strong in order to support your body and sustain running 1,3, 6, 13, or 26 miles!! Today on the Fit Stop Blog, our running specialist, Jared Beckstrand, PT, DPT is sharing 5 of the best core exercises for runners to keep you strong, healthy, and out on the road! Keep reading for more… This is actually a topic that I have discussed on the lifestyle show, Studio 5. Check out the segment here; keep reading below for a description of the exercises. Keeping your core, hips, and legs healthy and strong is vital to the success of most athletic/recreational activities. While this is a great list to start strengthening these muscles it is not (even close to) all-inclusive. If you’re experiencing pain while running or would just like to fine-tune your stride, we would love to help you out! Contact us at one of our four convenient office locations and we would love to help you out!